This photo shows hundreds of ships in San Francisco’s Yerba Buena Cove 1851. The cove isn’t there anymore. It’s now the Financial District. Most of the ships that sailed into the cove were abandoned during the Gold Rush. Some were used as hotels, or shops, but eventually they were scuttled, and filled in the cove. 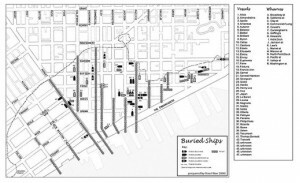 The map shows the original shoreline, and some of the ships that have been discovered during construction in the area. So when you walk in the Financial District, remember this: under your feet is San Francisco’s Gold Rush History. 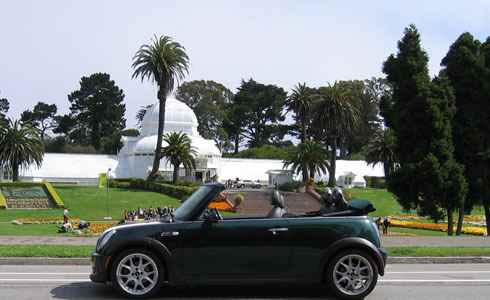 The Best Free View in Golden Gate park. 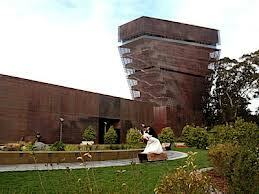 Here’s a secret few people know about: the observation deck in tower of the De Young museum (in Golden Gate Park) is free, and open to the public during museum hours. Just tell museum staff you want to go into the tower, and they will direct you to the elevators, which take you up nine stories to the 360 degree glass enclosed observation deck. 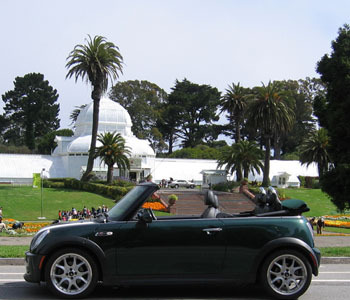 There are amazing views of the park, the Golden Gate Bridge, and western side of San Francisco—all without an admission fee. Misdirections: one of the last brick and mortar magic shops. There used to be dozens of professional magic shops in the Bay Area. Now there is only one, but it’s a good one. 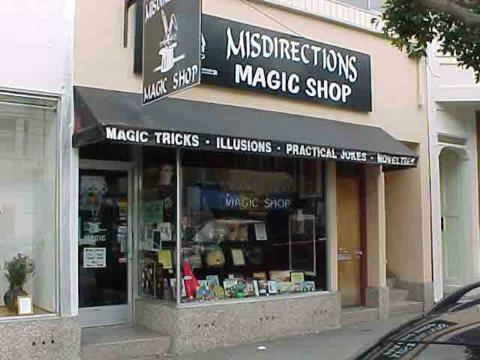 Misdirections bills itself as “A Real Magic Shop for Real Magicians.” It is fully stocked with dvds, books, tricks, and supplies for the professional, but amateurs can easily find something they can perform with minimal skills. Located at 1236 9th Ave.in the Sunset District close to the Academy of Sciences and the Japanese Tea Garden, Misdirections is definitely worth a visit. Not only because it’s fun, but a real magic shop is a rare experience these days.